Am I An Old Man Now? Or Has Buick Changed? It’s a Buick, so that must mean I’m old right? But it’s a Regal GS so that’s got to count for something. Still, it did draw my elderly neighbors outside to take a look. I cross shopped this with an Audi A4 and the Acura TLX. I was planning on comparing these by referring to them as the domestic and the imports. But hell, the Acura is made stateside, the other two in Germany. When deciding on which one to get it came down to price ultimately. I couldn’t justify spending over ten grand more for a car where the only major benefit over the Regal was the quality of the leather used for the seats. 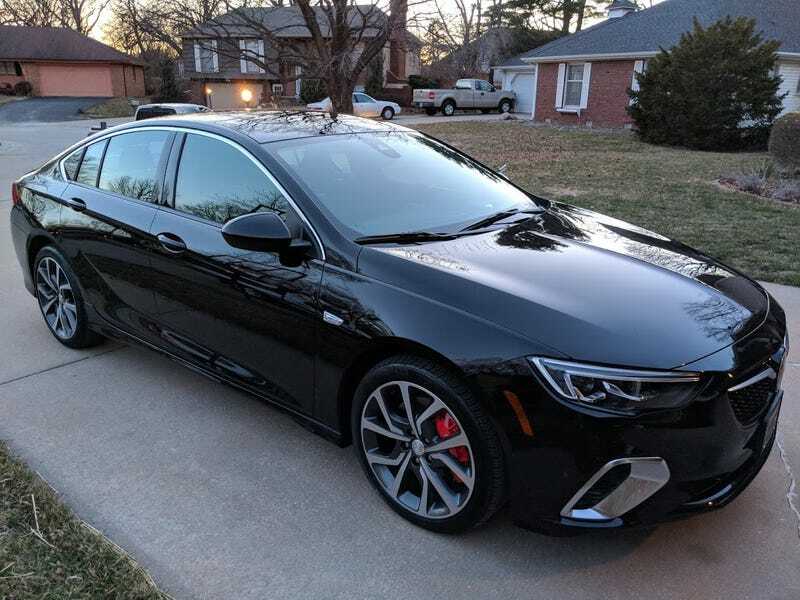 You may argue the fit and finish of the trim isn’t as nice, and there aren’t as many soft touch areas in the Buick, but it is still an extremely nicely put together car. Light years ahead of my 10 year old Dakota pickup. And certainly not worth the huge jump in price for the Audi or Acura. My wife wonders if this is my mid life crisis mobile. It is surely not as this is a 4-door mid-sized family sedan with only 310hp. I’ve assured her that my mid life crisis car will have two less doors (well 3 if you count the hatch), maybe two less seats, and twice the horse power. BTW, sorry if you were the one in Bentonville who test drove this over the weekend and needed some time to think about it. I beat you to it. Good luck finding another one any time soon. But hopefully you find one before the rebate and 0% financing runs out. New car and free money? What’s not to love.